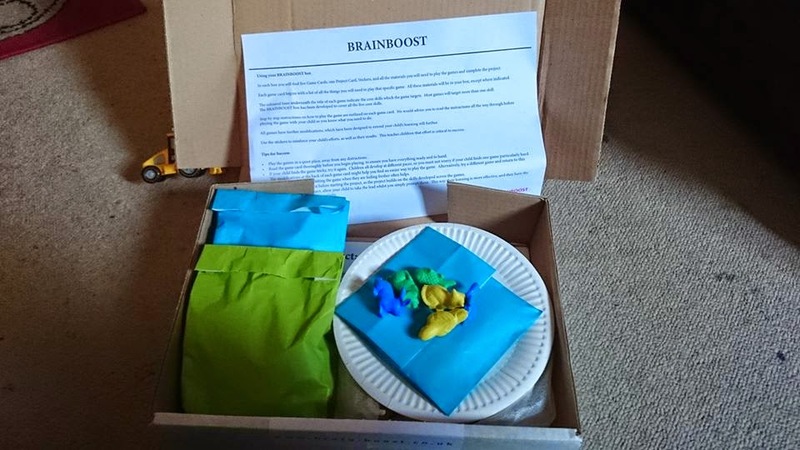 We were very lucky to be sent a brainboost box. If you haven't heard about them then I will just explain a little about what it is. Brainboost is a monthly subscription box aimed at children between 2-12 years old, founded by Dr.Maryhan Baker. Maryhan came up with play based learning programme to help with children's development in, behaviour, confidence and wellbeing. The box is £20 a month but the price is cheaper is you choose one of the subscription choices, of which you can cancel at any time. They also offer a refund if you are not happy with the box. 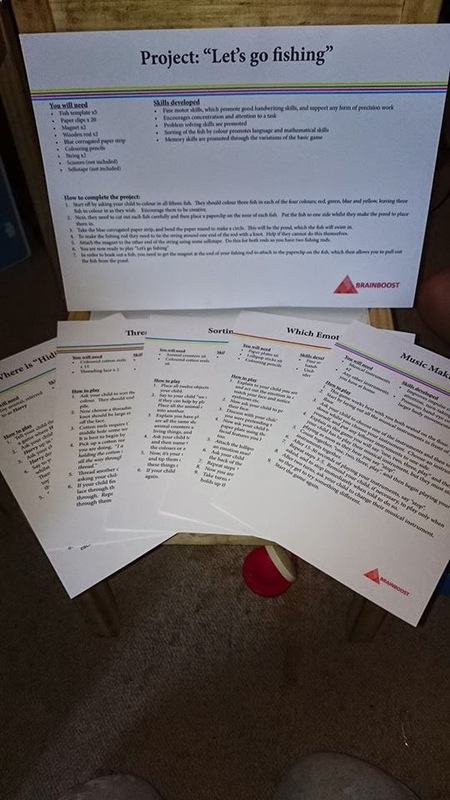 The box contains five games each game aims to improve each one of the following areas, cognitive ability, emotional intelligence, communication, physical skills and creativity. So lets take a look at what we got. I was so impressed when I opened the box I thought it might of had a few cut out and stick type of activities, I was wrong the items that come in the box for the games are fantastic. 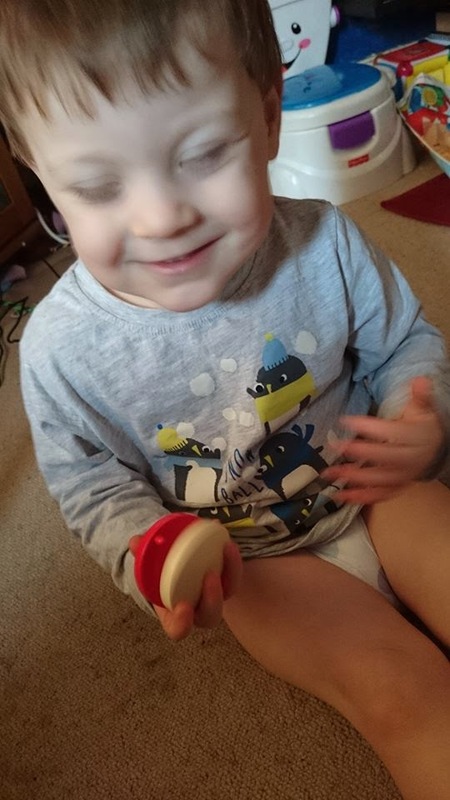 We had two musical instruments which for us was a tambourine and a castanet, 15 couloured cotton reels with two shoe laces, paper plates, lollipop sticks, coloured pencils, fish to colour, magnets, animal figures and a wooden sheep called harry. This was a great game and Jared really enjoyed it, on the reverse of the card it shows modifications that can be made to the game. With the musical instruments we play a game a bit similar to musical statues but you are making the music. I let Jared pick which instrument he wanted, to my surprise he picked the castanet. I showed him how to use the castanet and he was a pro in no time. The next game we played was a threading game. We used the shoelaces and the cotton reels for this game. 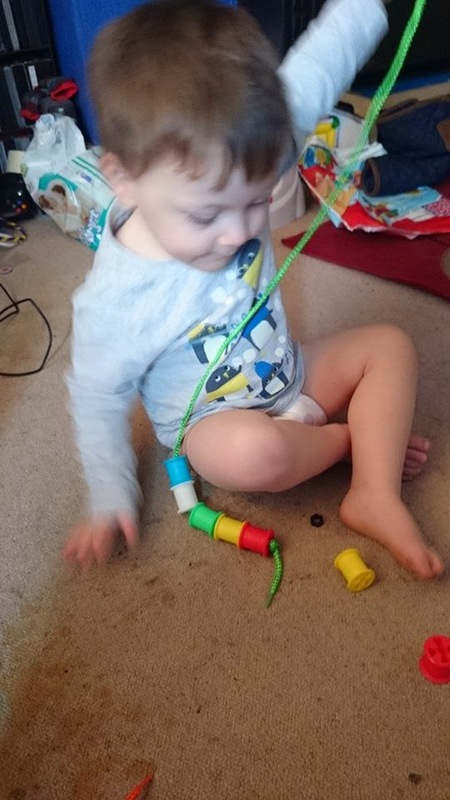 I thought Jared would struggle with this one as we have never done any threading activities with him and as he isn't yet at nursery I thought he wouldn't know how to do it. I got everything out and explain what we were going to do, as I tied a knot in one end of each of the laces he placed the cotton reels in piles of colour. 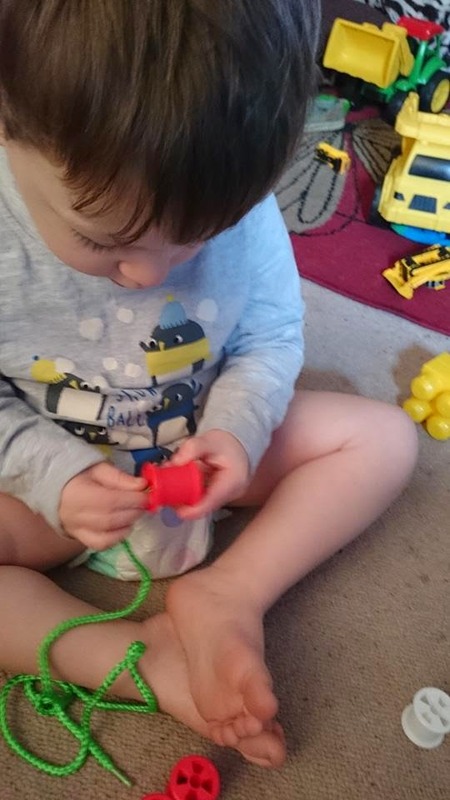 Jared choose his shoelace and then picked up a coloured cotton reel, now on the instruction card it tells you what to say to your child about what we are about to do and explain what you are doing to show them how to do it. I got through the first sentence and he had that reel on and was putting on another. I was so impressed. Please excuse the stains on my floor. 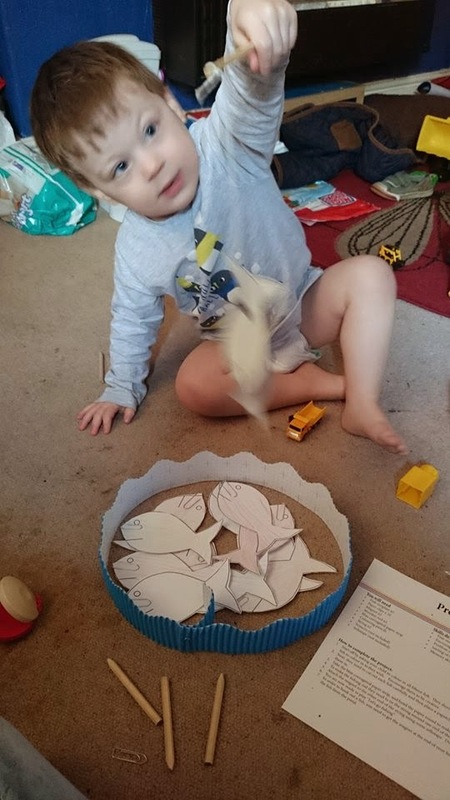 We had two other games one was a sorting task which used the cotton reels and the animals and the other was about emotions where we used the paper plates to draw faces relating the emotion we were talking about. 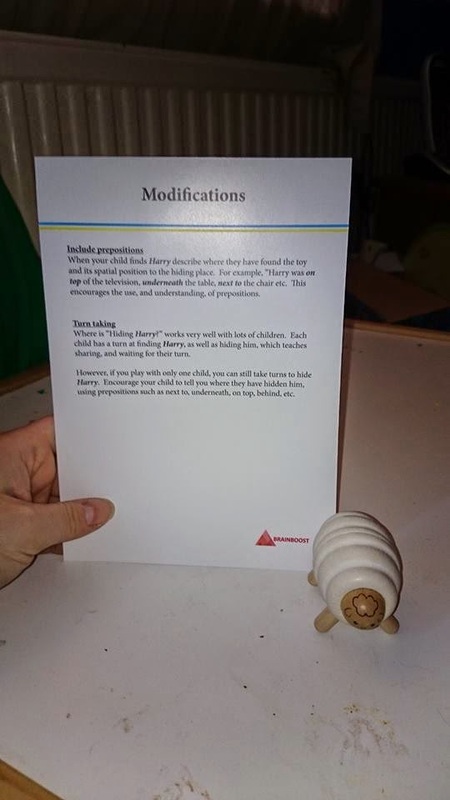 As I have mentioned each game does have modification ideas on the back of the card but you could also add your own modification to the game. As well as the five games you get the project card ours was "Let's go fishing". For this we coloured in fish and cut them out. 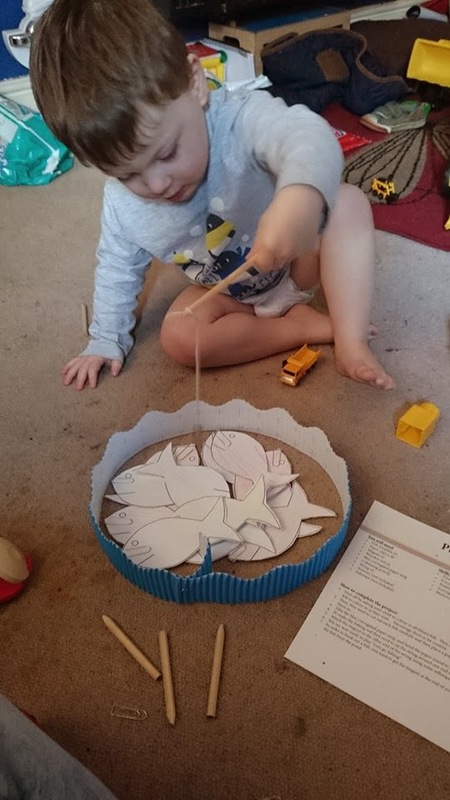 We also got to make our fishing rods we tied the string to the pole and stuck a magnet on the end, we then placed a paper clip onto the noses of each fish. This game has now been played by everyone who comes to our house Jared loves it and tells as many as he can about this game. During this game I would ask him just to catch certain coloured fish which proved a bit tricky as there pond was little so the over lapped but he did this very well. We also both caught fish then I got him to count how many fish he had and how many I had then asked him to tell me who had more. I love this subscription box, I know it is a bit on the more expensive side when it comes to subscription boxes, but I believe it is well worth the money. 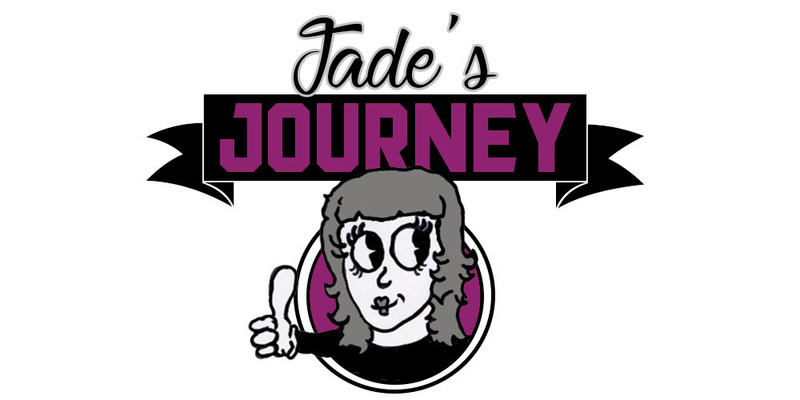 The quality in the items you get are fantastic and I know Jared has really enjoyed playing all the games plus he will always have these games to play. 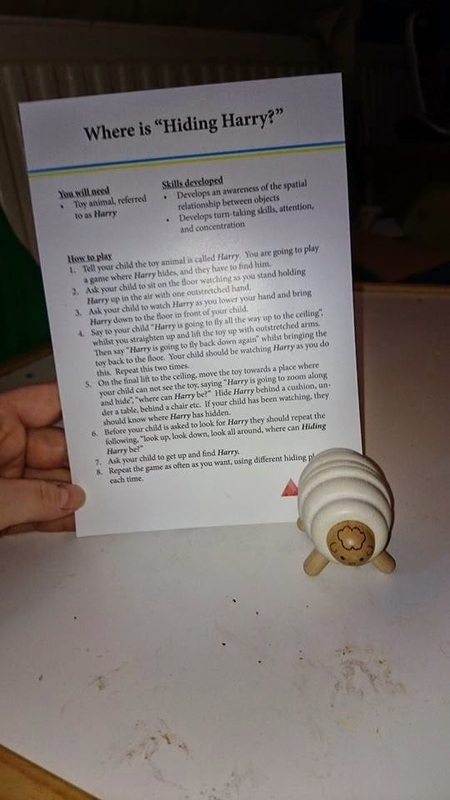 I love that the box is fun but is teaching him so much rather then just paying for a box of make a do type item and the cards you get tell you which skills are being used and improved. On the website the box is half price for your first try. Disclaimer:This product was sent to me for free to try out but that has in noway influenced my opinions on this product.